This sinkhole was the original source of water for the early settlers. Famous for its roses, the Cave Garden is a great place for a picnic. Walk down into the cave and venture out onto the suspended viewing platforms for an awesome view into the cave. During winter, storm water run-off makes its way to the cave forming a spectacular waterfall. It eventually enters the underground water system which possibly feeds into the Blue Lake. With its spectacular lighting, Cave Garden is well worth a visit at night. Free of charge entry. Nearby is the redeveloped City Hall which provides excellent facilities for public functions and conferences. Watson Terrace, city map N16 Paul Krummel was the first curator of the Cave Garden from the 1880’s to 1920. He initiated the first community plantings and rose garden. Located 25 mins south of Mount Gambier you can take a stroll around the 1ha Aberfoyle Gardens and enjoy the rose arbors, several hundred roses, spacious lawns and many varieties of shrubs, annual and perennials. Water features, poultry and plant nursery. Just 10 minutes South East of Mount Gambier is Laughton Park Gardens and Tearooms with 1.5 ha of garden and water features. Enjoy Devonshire tea in the large secluded tea rooms with views of the lake. Enquiries for groups, weddings and coaches most welcome. 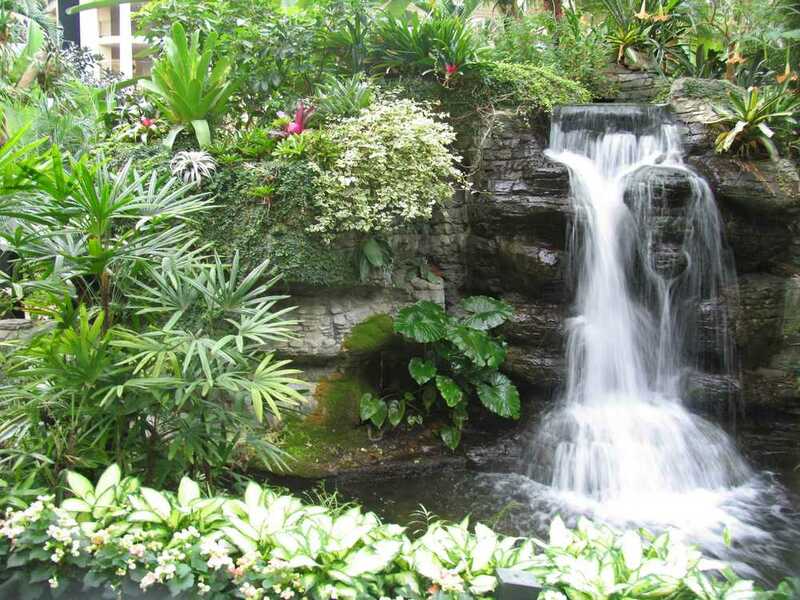 Situated on the bank of the Glenelg River is the Waterfall Gardens, with natural spring fed waterfalls cascading through a fern gully of tree ferns, stags, elks and native orchids. Enjoy refreshments at the Platypus Restaurant.